Show moved from Barracuda. All tickets will be honored. 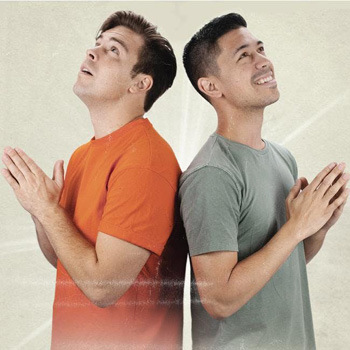 Cody Ko and Noel Miller are two former software engineers who left their rock solid, bullet proof careers to become pretty decent comedians with no health insurance. They started the Tiny Meat Gang podcast late last year, and since then, are still doing the podcast (no flex). In January of 2019, Cody and Noel will finally be achieving the American dream - setting out on a self-financed comedy tour and entertaining tens of hundreds of people around the 9th smartest nation in the world. The duo believes that the key to their success lies in their ability to overcome their small-ish physical stature with their 6 foot 7 inch personalities. Now they’re finally taking their athlete confidence and - again, pretty decent - senses of humor to the stage for an hour and a half of literal balls out comedy. Come learn how you can you summon your inner tall guy. Please (it’s self-financed).